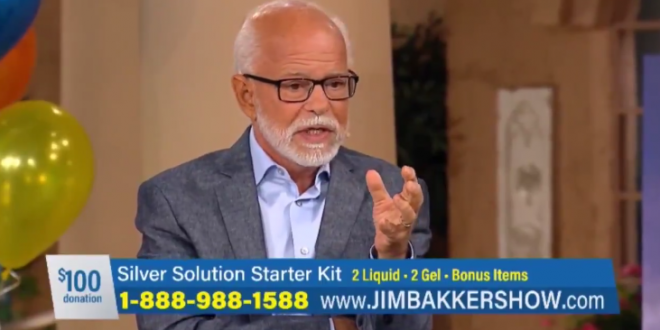 Scamvangelist Jim Bakker: I Don't Dare Wear A Trump Hat, If I Did I Might Be Murdered In The Street [VIDEO] - Joe.My.God. “I don’t dare wear a Trump hat. The evil in this country is so bad, if I was a Republican – which I have been my whole life – I couldn’t wear a hat with my candidate on it without concern about being murdered in the street. They’re putting us in a corner and I won’t shut up. “I’m in the United States of America and I’m threatened because I want to preach the gospel of Jesus Christ, I believe the Bible? I believe this whole book. Why can’t I believe this book? In America, you cannot believe this book without being harassed.” – Jim Bakker.